Buy Bacchus Vine Bush online (Vitis vinifera 'Bacchus') Outdoor Grape Bushes online from UK Grape supplier. Bacchus (Vitis vinifera 'Bacchus') is recommended by us as the best white wine variety for the UK, producing reliable, heavy crops of quality fruit and is easy to grow (unless your garden doubles up as a driver training area for armoured vehicles). 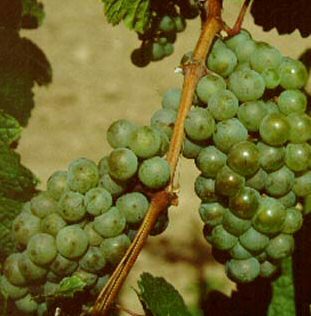 The vines will produce fruit without the need for another grape vine nearby as they are self-fertile.